In my last parent post, Coaching vs. Cheering in Youth Soccer, I discussed the differences in how we might best support our youth soccer players from the sidelines. In short, I said it is best to leave the coaching to the coaches, and for parents to focus on cheering. Well, the question has been asked, what constitutes positive cheering? This becomes especially important when parents have little or limited soccer knowledge. A big kick upfield is not always the best thing to do, nor is physical contact always a foul. My advice for parents on the soccer sidelines is to keep everything positive. In fact, this is my advice to coaches, too. Instead of getting frustrated and upset with what your child or team is not doing, encourage the effort that they are putting in. If you praise their effort, then they will likely attempt whatever they tried to do again, even if it ended in failure the first (or the second time, or the third time…). This is a difficult concept for many of us to grasp because we live in a culture where expertise is associated with how well we can critique something or somebody. My question is, who are we really helping when we get mad at a youth soccer player when he misses a tackle or a shot, or when she gets scored on, or when she makes a mistake? For whose benefit are you making the comments? The player? the team? The coach? The referee? Other parents? Yourself? Are you trying to show what you know, rather than support your player? Are you 100% certain what you are saying is correct? Really? Be specific – for example, “good pass, Johnny” or “nice shot, Jane” or “great effort, Luis.” Even if they don’t show it, the players hear you on the sidelines. If you are trying to coach them, you will put them off. If you recognize their effort and encourage them to continue, you will inspire them give their best. Be genuine – kids know when we are giving false praise. Sometimes, it’s best to say nothing. Or, if you do say something, I have found it best to say something to the effect of “next play” – meaning, don’t dwell on the mistake you just made, make it right on the next play. These two words and your player’s name will help them refocus on the game and you don’t have to have any previous soccer knowledge or experience to do this! Above all, be positive! Praise the other players on your team. The parents will likely respond in kind! Also, it is okay to praise the other team’s players when they do something good! Remember, this is recreational youth soccer, not the World Cup Final. Besides, next year, that player and his parents may be on your team. Have you ever been to your child’s game and ONLY said positive things? Have you ever told the referee (s)he had a great game? Have you ever thanked the coach after the game for coaching your son/daughter’s team? 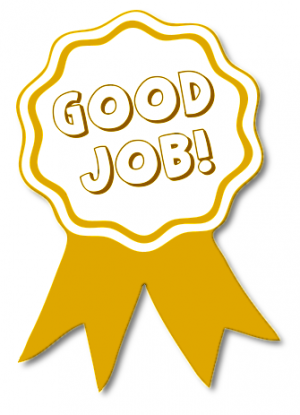 Have you ever congratulated a parent of an opposing team on the effort of their son/daughter? I guarantee, if all the readers of this blog committed to doing just one of these things on game day, we could start a positive revolution in youth soccer. Remember, what gets praised, gets repeated. I look forward to your feedback and input. James excellent point about “be specific”. This post is not only usefull in soccer but in the develop of our kids. Thanks for all the effort you’re putting into the program. Awesome blog on parent cheering. Thank you!